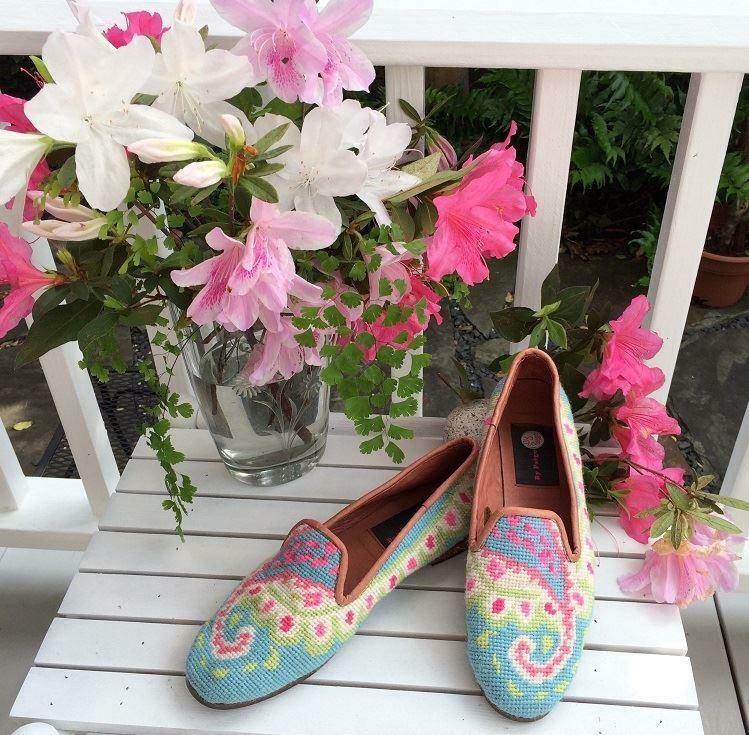 A great pattern to wear with all your Lilly prints this year. 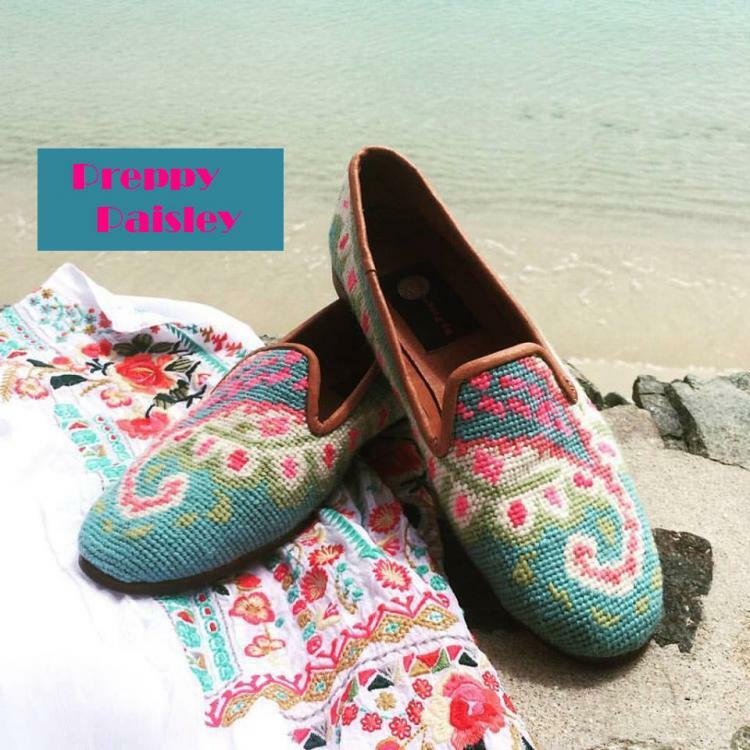 Colors include pinks, limes, aqua and white. 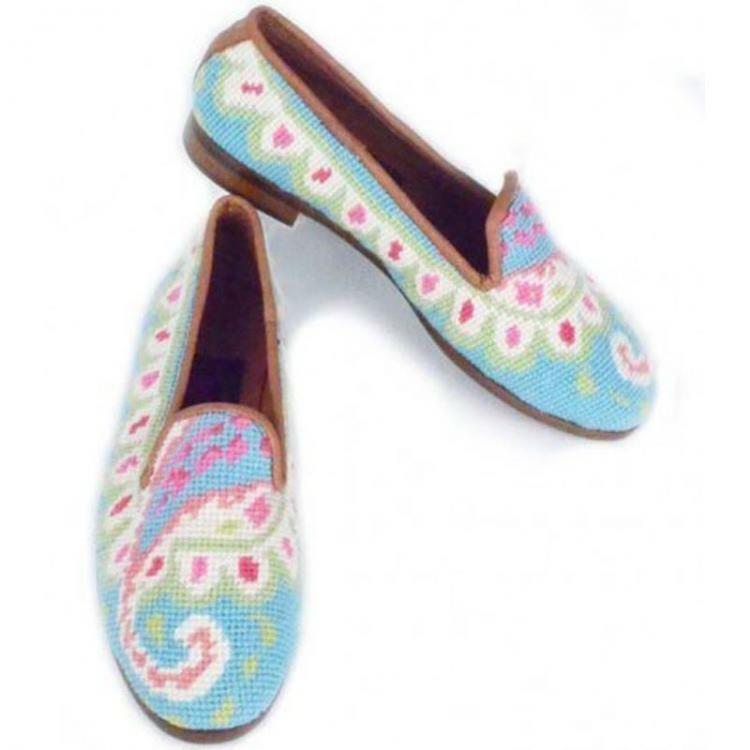 Hand stitched needlepoint loafers are fully lined with soft kid leather, have a half inch heel and composition sole. Available in whole and half sizes from 6.5 to 11, medium width only. These loafers run a bit snug. I generally wear an 8.5 to 9 and the 9 is a perfect fit. They will give as they are worn and are so comfortable, you will never want to take them off. Order these today just in time for spring!